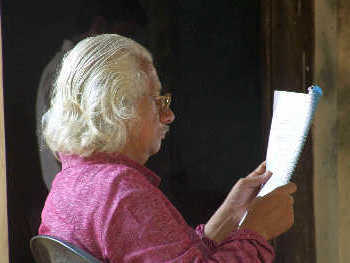 Master filmmaker Adoor Gopalakrishnan has won his ninth National Award for his Malayalam film Naalu Pennungal, based on Jnanapith award-winner Thakazhi Sivasankara Pillai's four short stories. This is his fifth national award in the best director category. 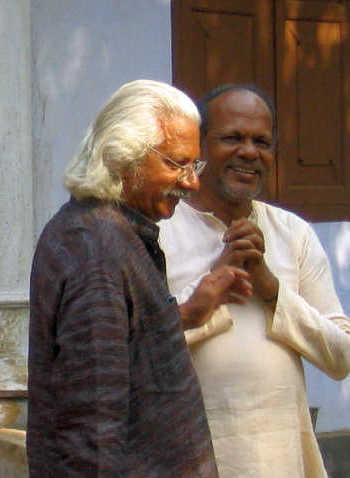 He had won the national award (best director) for his first film Swayamavaram in 1972 and after that for Mukhamukham, Anantharam and Mathilukal. He spoke to Shobha Warrier from Thiruvananthapuram on winning the national award. You have won several state, national and international awards. How do you feel winning one more? Has it stopped being exciting for you? No...no... It is a very good feeling [laughs]. I make a film after a long gap. So, every time I make a film, I forget what had happened before. It is a new experience for me every time. So, when I win an award, it makes me very happy. For me, every award is fresh and new. Is the feeling different from what you felt when you won your first national award many years ago for your first film Swayamvaram? Yes, it is a different feeling. First award is always different. I made my first film after going through so many adversities. So, I can never compare any award with that of the first. When did you get the news that you are chosen as the Best Director in India? I came to know from the television channels first. You were giving interviews to various television channels when I called. Is it like going back to the film and the characters once again? It happens. Every time I travel with my film to various festivals, in the beginning I introduce the film to the audience and in the end, I answer the questions. So, it has been going on for the last two years. I am doing that once again here, that's all. Were you happy with the way Naalu Pennungal was received by the critics and the audience? Actually this is the most popular film I have made so far. Right from its opening at the Toronto Festival, it has gone to around 40 international film festivals. Even after two years, it is being shown at some festival or the other somewhere in the world. It was sold in a couple of countries too. Out of the 40 festivals I might have gone to, at least 10, and everywhere every screening of the film was sold out. Also 85 per cent of the audience were women. It was a new experience for me. At the end of the screening, there were Q&A sessions where the women instead of asking questions, expressed their appreciation. And the response to the film has been absolutely uniform. The biggest award I got was from women all around the world. They owned the film. Was it because you narrated the story in a very simple way? All my films are simple! It is the life that is portrayed and the truth in it that attracted the people. The film is very authentic in its treatment. More than anything, the feeling in it is universal. When I was there at Kuttanad where you were shooting the film, I found that you were involved even in the minutest detail of the film and how each character behaved. It was as if you had internalised each and every character. Still, you were very calm and never tense on the sets. How could you remain so? If you are tense, you cannot think properly. Under tension, you will not be able to work well. I know I have to be attentive to every detail. So, I remain calm. I never get angry with my artists or anyone else on the sets. If I get angry, that will spoil my mood also. I don't do that. I don't blame anyone for any mistake too. That day when I spoke to your artists including Nandita Das and Kavya Madhavan, they said they were not aware of how their characters evolve. They just followed your instructions. Was it because you want your characters to come out the way you visualise them to and not the way they interpret? The nature of filmmaking is such that no actor can keep the continuity intact. We shoot based on a location, time, etc. We shoot in bits and pieces. So, even if they want, they cannot have emotional continuity. The only person who can have the continuity in mind is the filmmaker himself. In this case, me. If they start interpreting the characters different from what I have in mind, there will be a clash. It is like an orchestra where every instrument has to be tuned according to your composition. You cannot play a different tune to impress someone. So is the filmmaker like a conductor? No, he is like a composer. He is the author and not the conductor. There are different ways of making films, and this is the way I make films. Not yet. I am still travelling with this film. I am leaving for Houston (on September 20) where my films will be screened at a fete and also in some universities where I am going to talk about my films. Do you feel you understand more about your film when you answer the questions from people from all around the world? Yes. Some of the questions make you realise that it can be interpreted in a different way too. Out of all the awards you have won, do you look at any particular award as very special? The first award was the most important (for Swayamvaram). That paved the way for new cinema in Malayalam. That brought in many people to cinema. That became the reason for many people to go to the film institute. It created a lot of change in the way cinema was looked at. Would you say because it was recognised, it gave you the confidence to make many more films? Yes, the first award gave me real confidence. It gave me the strength to go on with what I wanted to do. Recognition for your first film is very, very important. That is why in all the festivals, a prize is given to the first film of a promising director. The idea is to discover new talent. You are described as the most important filmmaker after Satyajit Ray who took Indian films to the outside world. Do you like the description? It is not a question of liking it. Critics evaluate and come to a conclusion. I should not be complaining [laughs]. It is not bad thing! How would you celebrate this award? No...no... We never celebrate. It is like any other day for me. There is no question of going out as I have engagements till late night. I have to go various television studios and talk about the film, and that is the only celebration [laughs].